On 23 October 1641 two forces travelled through the night to seize key fortifications across the north of Ireland and Dublin castle. While the latter attempt, to take over the central administration in Ireland failed, northern rebels led by Sir Phelim O’Neill successfully captured many plantation towns and forts and posed a serious and sustained challenge to colonial authority in Ireland. What happened next is the subject of much controversy. Did a massacre of Protestants in Ireland take place? If so, was it premeditated? Who was to blame? 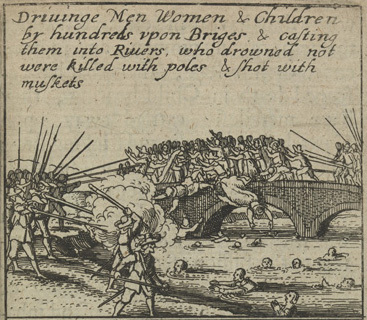 Eamon Darcy’s book, The Irish Rebellion of 1641 and the Wars of the Three Kingdoms, addresses how the mythology of massacre circulated in Ireland during the 1640s and gained currency in the decades that followed, gradually leading to the political disenfranchisement of Ireland’s Catholic population. One of the lasting consequences of the rebellion was the official decision to take evidence from the alleged victims of Catholic massacres, mostly in Ulster. We’ve already heard from the deposition of a woman called Joanne Constable, or Drummade in Co.Armagh. Here is some more of what she told the authorities. ‘The outcries, lamentations & screechings of these poor martyred persons were exceeding loud & pitiful yet did nothing prevail nor mollify the hardened harts of their murderers But they most boldly made brags thereof & took pride and glory in imitating these cries: & in telling the deponent and others how the children gaped when the fire began to burn them & threatened and told her … that before it were Long she & the rest of the Protestants that were left alive should suffer the like deaths: Howbeit for this deponent’s own part, The great god almighty afforded her a way by which she escaped. Dr. Eamon Darcy will be talking about the 1641 rebellion and the depositions housed in Trinity College, Dublin on The History Show on Sunday, 28 April. 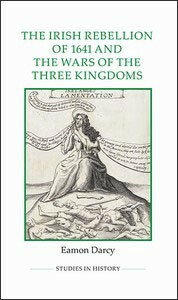 The Irish Rebellion of 1641 and the Wars of the Three Kingdoms is published by Boydell and Brewer. 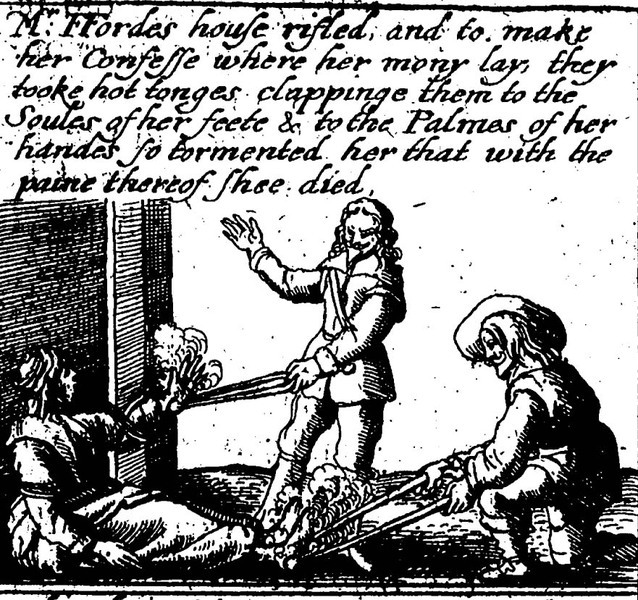 This entry was posted in Uncategorized and tagged 1641 depositions, eamon darcy, massacres, phelim o'neill. Bookmark the permalink. ← The Irish in Australia, The History Show, Sunday 28 April.